Cost New Insurance Appraisals are based on the Reconstruction Costs. This is defind as “a value basis for insurance purposes that determine the cost of replicating a building at current prices using similar quality materials, construction standards, design, layout and quality of workmanship”. Condomininum Corporations are required to insure the full replacement cost new of their buildings. Often this full replacement cost new is to be determined by an independent source. 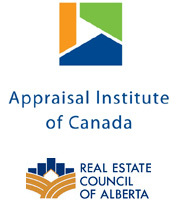 In Medicine Hat and area we have conducted numerous Cost Appraisals for Condominium Corporations.